A single flowleash plus made for capsule handles. Features a modified stainless steel swivel allowing you to attach to a capsule handle on one end, and a knotted leash washer on the other end to attach to a capsule-light based poi head (podpoi or flowmoja). Sold individually as shown in the image. The flowleash plus has all the amazing features of the original flowleash with the added plus of buttery-smooth and durable solid stainless steel swivels. Truly solid stainless steel swivels are hard to find. Extensive testing has shown that most suppliers and manufacturers give mis-information and most "stainless steel" swivels are not 100%. We spent months tracking them down, and now we're making them available to you! 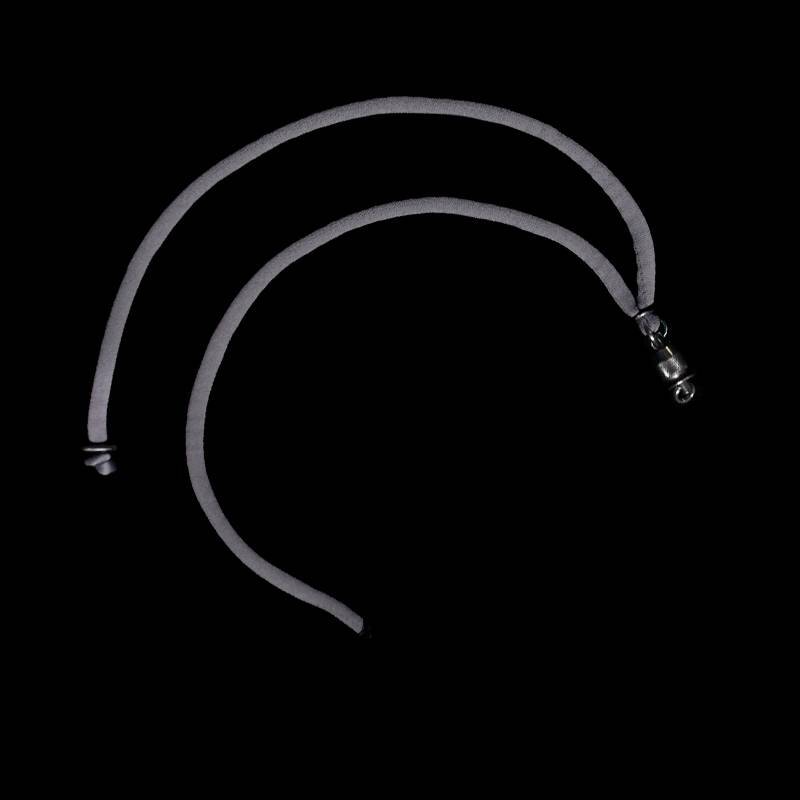 Even better, this modified flowleash plus features a specially prepared o-ring on the end for safe, smooth insertion into the head of a capsule light. The leash itself also bypasses a floop or knob handle attachment with a pre-installed knotted leash washer on the other end, allowing you to easily attach your capsule handles to any capsule light-based poi.